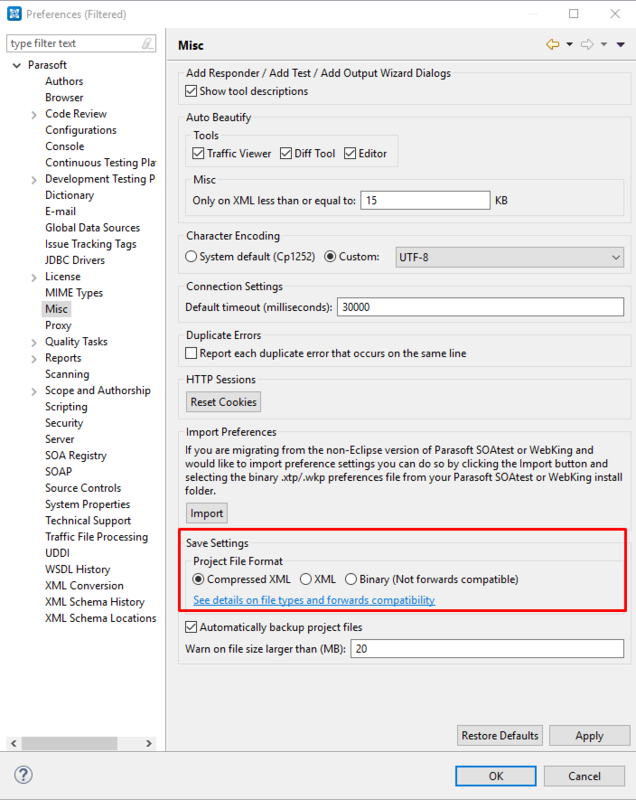 SOATest supports three different file formats for tsts. But if your team requires a different format, please see below. For use cases where it is needed to quickly change this feature for many machines or possibly headlessly, then you can change the SOATest Workspace preference file directly. 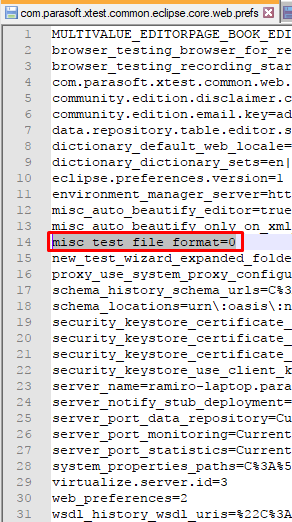 The Preference file can be found in the workspace's .metadata folder. 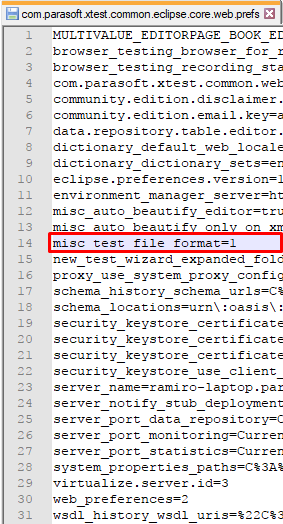 Compressed XML is the default File format for SOA/Virt 9.10, therefore a property is not necessary. With this information, you can create a simple command for terminal to quickly make the change.